Jessi Colter will release her first memoir about her career and life with husband and country legend Waylon Jennings. Titled An Outlaw and a Lady: A Memoir of Music, Life with Waylon and the Faith That Brought Me Home, the book will be released April 11, 2017. 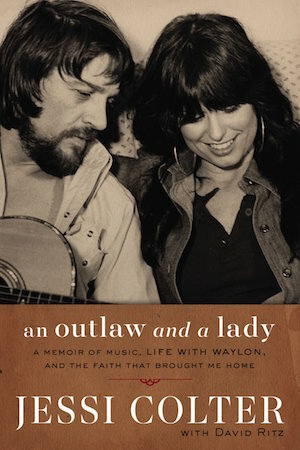 Penned with author David Ritz, the book includes Colter becoming the first female to earn the CMA award for Album of the Year (for her contribution to Wanted–The Outlaws), her integral role in the “outlaw” country movement, and the struggles of her marriage to Jennings, as he dealt with cocaine and alcohol addiction. Colter still lives in Arizona, where Jennings was laid to rest in 2002. The book also chronicles Colter’s return to faith, and how he shared that faith with her in the later years of his life. 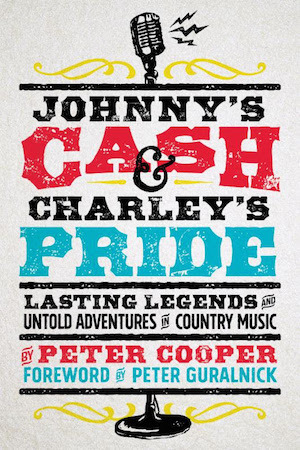 In his new book, Johnny’s Cash & Charley’s Pride: Lasting Legends and Untold Adventures in Country Music, author, musician, Grammy-nominated producer and journalist Peter Cooper chronicles many of his tales since arriving in Nashville in 2000 to cover the country music scene for the Tennessean. Now a senior director, writer, and producer at the Country Music Hall of Fame, Cooper’s selected stories are an original take on the formative days at WSM as well as introductions to many of country music’s unique personalities. The book includes tales of Nashville artists, executives and locations including Johnny Cash, Charley Pride, Kris Kristofferson, Don Light, Hank Williams, Merle Haggard, Earl Scruggs, The Station Inn, and more. Johnny’s Cash & Charley’s Pride will release April 25, 2017 via Spring House Press.